My Geeky Geeky Ways: Peter Capaldi Is The New Doctor! Peter Capaldi Is The New Doctor! SOURCE: BBC - Exclusive Video: Peter Capaldi is the New Doctor! So who is Peter Capaldi? 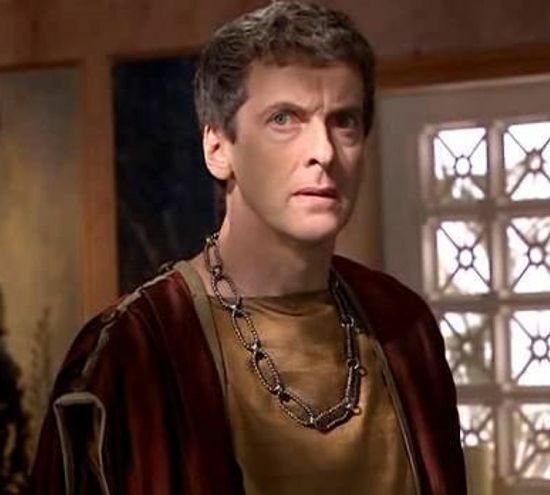 Doctor Who/Torchwood fans likely recognize him from the Series Four Doctor Who story Fires of Pompeii where he played the marble merchant Caecilius or for his role as John Frobisher in the Torchwood movie Children of Earth. The 55-year old Scottish actor/director is probably best known in the UK for the role of Malcolm Tucker in the BBC comedy series The Thick of It. So yeah. Another white male as The Doctor. Comments?